Advanced Dungeons and Parenting: The "Old School Revival" Makes Me Want to Go "Really Old School"
The "Old School Revival" Makes Me Want to Go "Really Old School"
Over the past decade, in the shadow of WotC's Open Gaming License, there has been an explosion of DIY game design devoted to making new role playing game products inspired by and/or compatible with early editions of the Dungeons and Dragons game. Some of the games are merely trying to capture the "feel" of the old games and recapture some of the game playing nostalgia of the author's youth, others are attempts to fuse new design techniques with the simple ability to inspire the old games possessed. This "movement" in itself is reminiscent of the nascent days of the role playing game industry when people were writing rpgs out of their basements, garages, and living rooms and didn't worry about getting enough revenue (either venture capital or revenue based on money received as compensation for selling a successful game company to a larger game company) to publish a "slick" product. Companies like Judge's Guild were in the marketplace selling creative, if not sufficiently edited, products that built on the excitement of a new hobby -- a hobby were game creation was "fun" and not so market driven. It's fun reading the various Old School Revolution blogs like Greyhawk Grognard and Grognardia, or visiting the Dragonsfoot website. 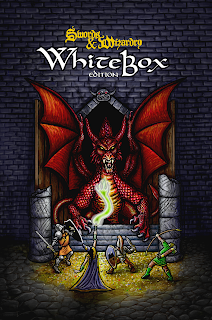 I've been so caught up by the OSR fever, that I purchased on of the Swords and Wizardry White Box boxed sets. I manage to balance my RPG "news/study" time between keeping up with what's going on in the "Indie Narrative Gaming Verse," the OSR, and the modern industry fairly well. In fact, I'm proud of my ability to navigate through these three -- often very different -- waters. I am a proponent of the OSR, the narrative indie, and the ultra-corporate game. I will evangelize the wonders of My Life with Master at the same time as expounding the virtues of the 4th Edition of Dungeons and Dragons. I was reading one of the OSR websites the other day and read the a statement similar to the following. 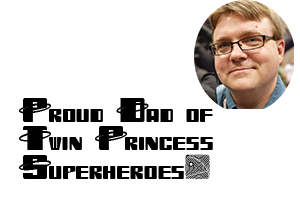 "Why are we writing 'updates' or 'nostagia' versions rather than playing the actual old rules sets?" I don't remember where I read that, and the wording was different, but it got me thinking. I think there are a couple of answers. First, those who think that "unsupported is dead" is nonsense, are delusional. Unsupported is certainly dead from a retailers point of view, they can't sell a product that isn't supported beyond a certain terminal limit. Unsupported is also dead from a consumer point of view. How many people are still running their first D&D campaign using only the Chainmail rules and the Little Brown Books? Not many. You can only read these books a certain number of times before you have memorized them. You can certainly expand on these books with house rules, and the games don't "require" more than these books to play, but gaming is a social endeavor. As such, gamers like to hear other gamers' ideas -- even if they don't/won't use them. Role playing games are about dialog. Dialog between the DM and Players, dialog between DM and manufacturer, and between DMs and other DMs. Some of this dialog breaks down when a game is no longer supported in its existing form. Thankfully, the internet -- and the Open Gaming License -- allows almost anyone to become the "manufacturer" (within the limits of the OGL). This is where the OSR shines, it restores the interaction between manufacturer and DM/Gamer. Dialog feeds creativity, silence starves it. When a publisher supports a game with printed material, they are participating in the dialog. When they stop the dialog has traditionally narrowed, but the OGL allows for a continuation of the game dialog that didn't exist before. But and expansion of "manufacturers" means an expansion of published ideas of what the game is at its core. This requires new editions/rules sets. Which leads to my second point. The new creators are creative and want to leave their mark on the hobby, this is a good thing -- but it takes us away from the original rules. Lastly, the Chainmail rule book and original Little Brown Books of D&D are not very clear when it comes to explaining the game and how to play it. I cut my role playing gamer teeth on the Moldvay Basic and Cook/Marsh Expert editions of the D&D role playing game. These sets had artwork by Jeff Dee, Erol Otis, and Bill Willingham that was the perfect combination of cartoony and fantastic to inspire my young imagination. They also had clearly written and easy to understand descriptions of how to play the game. 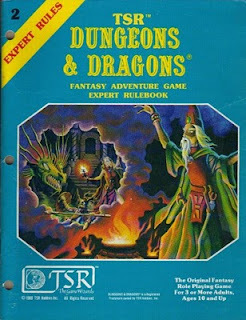 If I didn't have the mental structure created by years of playing these, and later editions, of D&D -- and a good deal of Warhammer -- I would not be able to play D&D based on the "first four" books without doing some significant design work on my own. When one reads the original books, it becomes readily apparent why Ken St. Andre quickly drafted his own rpg Tunnels and Trolls as a response. Original D&D is difficult to understand, and newer rulebooks written more clearly -- like the Moldvay/Cook edition or the Holmes edition -- are still a much needed commodity. This is true even if your intention is to play Original D&D, especially true of you want to bring new gamers into the hobby. This rant/ramble has inspired me to do something. It has been a while since I read Chainmail and the Little Brown Books. I think I want to see if I can read them, "understand" them, and present them in a clearer format. Over the next few months, I will be attempting to create a Beginner's version of the first role playing game. I don't think I'll publish it online or anything, though I'll likely share it if I am satisfied with it. I will try to create the game as it is "described" and not as I "now know" how it is played. I'll start with Chainmail and then work my way up. I think I'll call the series, "How to play..."
Oh, and don't worry, I will get back to Northwest Smith later this week. You might want to check out Sham's posts on OD&D from his "Grog n Blog" - he did something similar. It was very interesting! I've also started an OD&D wiki to discuss various points of it - in a similar fashion that one might do a study of a book.